Low feeding height enables easy manual feeding. 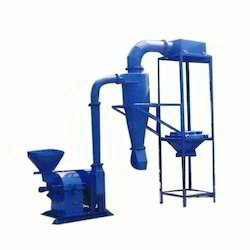 It is widely used for the grinding of various sorts of herbs. To ensure hygienic grinding of the herbs, we use qualitative and pretreated Herb Grinder fabrication. It is good demand in the market due to high quality and durability. It is available in market at reasonable rates. Our grinders are made of Aeroplane grade aluminum material and made on automatic CNC machines. Our esteemed clients can avail from us a wide range of Smiley Grinder at competitive prices. These are highly appreciated by our clients for exclusive designs and performance. In order to assure the quality of our range, we check it on the various quality parameters. Furthermore, we also provide personalized solution to our esteemed clients.